Did you know that a roof is one of the most important structures in your house, office building or apartment complex? You may not see the top of your roof, but like the foundation, it’s one of the most important elements of your home or building. And precisely, because you don’t see this structure every day, damage to the building’s roof can quickly get out of hand. Damage caused to a building’s roof due to normal wear and tear or natural disaster can cause considerable loss of property in Palo Alto or any other place in Southern California. Sun, rain and cold weather can affect your building’s roof, and at some point it will require repair work as a result of this normal wear. When referring to a building’s roof this is not the time to use the old adage, “Better late than never.” Your building’s roof actually needs to be inspected every year because damage can occur to areas that you don’t normally see until it’s too late. You want to catch this damage before it becomes a problem. When you do notice damage, it’s important that you call in a responsive and reliable roofing contractor immediately. Commercial roofs are made differently from residential ones, as such, you want to consider contractors who have experience in the types of materials used on your apartment building or business complex. Different commercial roofs have different needs. For instance, if the building houses restaurants, then the roof ventilation systems, smoke stocks and exterior pipes. You’ll want a Palo Alto commercial roofing contractor who knows how to deal with such things. Most commercial buildings and apartment complexes have flat roofs. However, in Palo Alto, roofing materials can differ. In some cases, ceramic tile or other materials are used instead of the typical commercial style. If your roof has these specialized materials you’ll need to find a contractor with experience in those materials. As mentioned before, commercial roofing is different from residential roofing. It requires more materials, additional manpower hours and specialized procedures. Expect the cost of commercial roofing repair to be higher for an office or apartment complex. Expect longer repair times when dealing with commercial roofing. 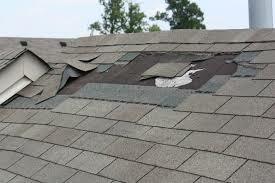 Roofing areas are larger, there is more of a risk in repairing them, and repairman must ensure there are no leaks, cracks or any other visible damage to the roof. So don’t be surprised when you get a higher estimate than what you would get for a home roof repair service. Make sure that whatever contractor you do hire uses quality roofing materials which meet the purpose of your building. Also want to make sure that the contractor has the right equipment and enough employees to do the job right. Otherwise, you risk having to deal with the job and price extension.